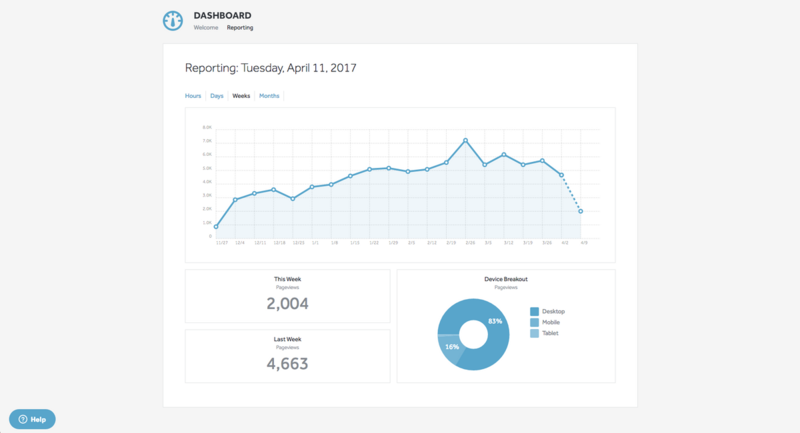 At SpaceCraft, we're constantly adding new features to our platform based on client feedback, and we're excited to announce our brand new reporting tool. Quickly check your website's traffic right from the SpaceCraft dashboard. You can also see what devices your viewers use to browse your website. Best of all, there's no code to implement this new reporting functionality - we've already set it up for you. Professional and Concierge customers can simply click on the reporting tab within the dashboard overview page. From there, you'll see your unique website's stats automatically. Interested in boosting your website's traffic? Check out our marketing packages. With SpaceCraft, it's easier than ever to create, manage, and promote your online presence within one simple platform. Real-time analytics are only available on our Professional and Concierge plans. Basic and Premium customers can upgrade through the SpaceCraft dashboard. To learn more about this new feature, contact us today.